I knit this hat for a friend and colleague, Daniel Haeusser. Daniel studies bacterial cell division and is also interested in teaching. He is an associate blogger on one of my favorite science blogs that explores the fascinating microscopic world, Small Things Considered. To learn a little bit more about him and his work, you can read his Small Things Considered bio here. Not to brag (well, actually to brag), he encouraged me to write this article for that blog about bacterial biofilms. Anyway, back to the point. Aside from science, Daniel loves penguins. I believe he even mentioned that his wedding was penguin themed. 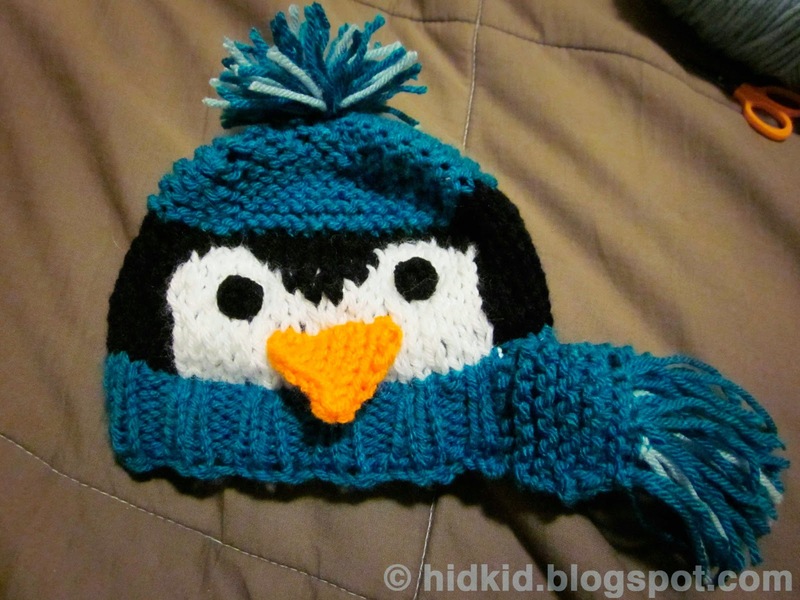 Before last Christmas, Daniel asked me to knit a hat for his 2-year-old niece. He said a polar bear hat would be okay, but he would really like a pengin hat, if possible. I am always up for a challenge and am the type of knitter that usually doesn't like to make the same thing more than once (excluding some of my favorite slipper patterns). 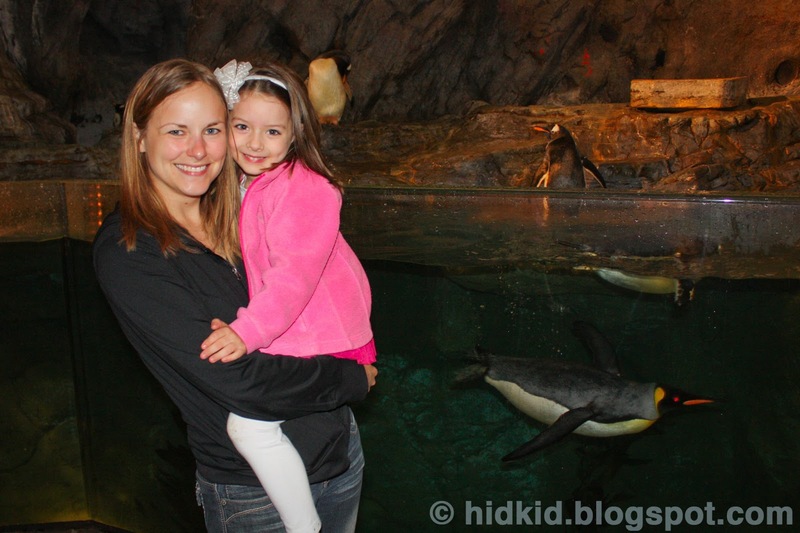 I also love penguins, especially those at the Saint Louis Zoo! The Penguin Parades (Sunday at 2:00 when the temperature is below 40°F) is one of the cutest and most fun winter activities in the city (see the video below). But I digress, back to the hat details. 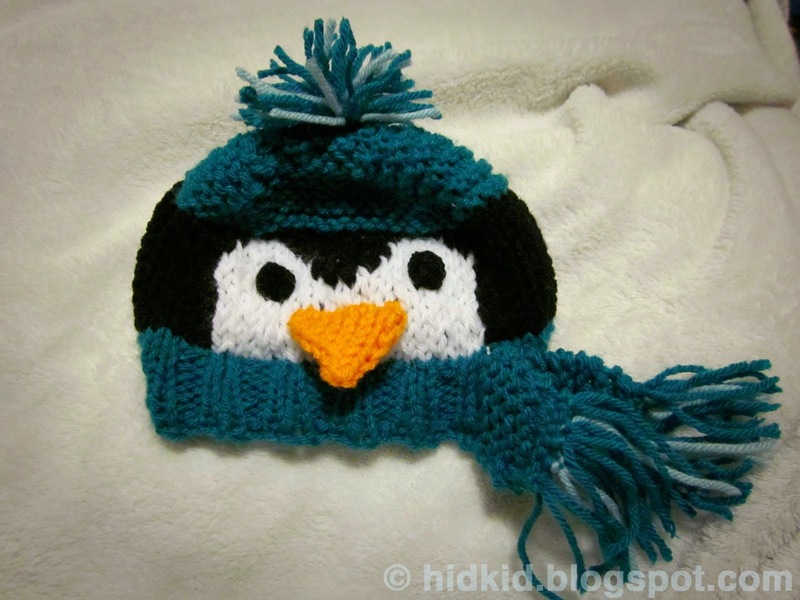 I searched the internet and could not find any existing penguin knit hat patterns that I absolutely loved, so I took inspiration from the pictures of this penguin beanie and this hat to design the pattern for my Penguin Knit Hat. The pattern for this hat can be found here, information about the pattern is here and a tutorial for embroidering on the eyes can be found here. I employed some creative knitting techniques to switch between the white and black yarn. I have detailed instructions and pictures on how to do this on the pattern. If you have any questions or need clarification on the pattern, feel free to contact me. What sizes are included in this pattern. I'm looking for a 5 year old girl. Love the penguin, so cute! Currently it is only for a 2-year old. I will look into editing it for more head sizes, but if you are confident with modifying the pattern and your gauge, you could add on stitches to the cast on row and simply increase the number of black stitches for the penguin head. Also, the finished hat is 15 inches in circumference unstretched and stretches to ~21 inches. Therefore it fits heads between 15 and ~20 inches comfortably and may even fit your five-year-old.